We I-Max International are the leading manufacturing, trading, wholesaler, supplying, exporting and importer a wide range of Toilet Cleaning Brushes.We are mainly focussing on regions like Andhra pradesh, Tamilnadu, Karnataka, Kerala and locally Chennai. Our clients can avail from us Acid Brushes that are available in various sizes, designs and thicknesses. 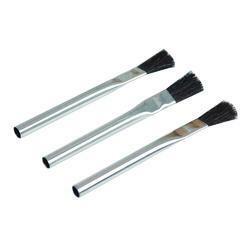 An economical brush for shop use suitable for application of lubricant or glue, or sweeping of small debris. Filled with stiff horsehair and a tin handle, ranging from ¼" to ¾" wide. 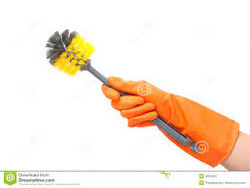 Acid Swab brush: An economical brush for shop use suitable for application of lubricant or glue, or sweeping of small debris. Filled with stiff horsehair and a tin handle, ranging from ¼" to ¾" wide.